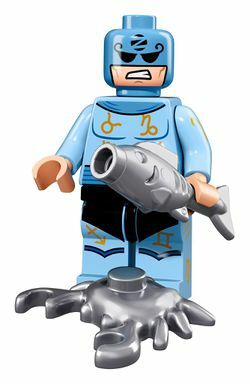 Zodiac Master is a The LEGO Batman Movie minifigure introduced in 2017. This is a description taken from LEGO.com. Please do not modify it. (visit this item's product page) With a costume covered in astrological symbols, the mystical Zodiac Master™ had a reputation for being able to foresee disastrous events before they happened. Crooks paid him to predict whether their next caper would succeed or fail…until Batman™ proved that the Zodiac Master was sneakily creating the very events that he was predicting! This page was last edited on 8 January 2017, at 00:20.